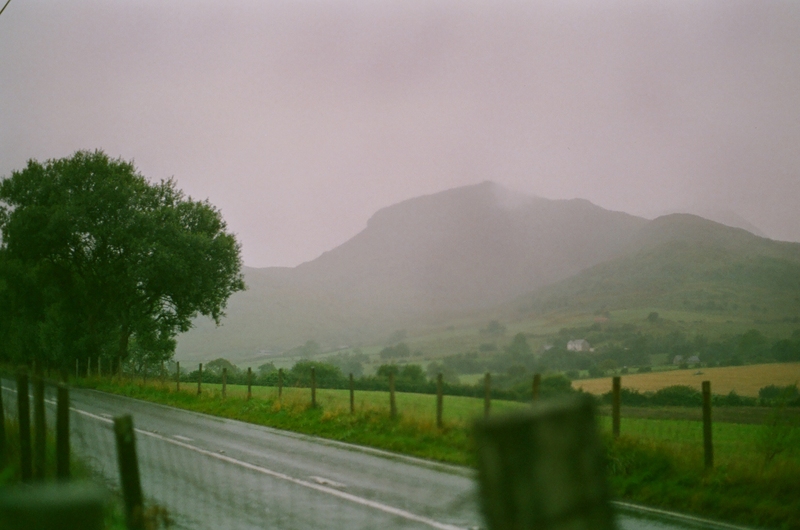 In August I cycled across Wales, it rained for almost every single second we were there and I got really ill. It was a strange mix of enjoyment and utter misery. So last weekend Becca and I toddled off to Rockness, a festival held, perhaps unsurprisingly given the name, on the banks of Loch Ness. First things first, we were driving, or ,more accurately, I was driving as Becca is still learning. Now I realise how far Inverness is from Leeds having driven up and around there when I was driving support on the End-to-End bike ride in 2008 (http://ashmannblogs.wordpress.com/2009/01/19/bike-rides-and-vans/) but still I think my brain had blanked just how far it really is – 366 miles, 7 hours driving, mega. Although the saving grace is that it is a bloody lovely journey scenery-wise going through the Yorkshire Dales, the top of the Lake District and the Caingorms – ace! Anyways, we got there and set up the tent and drank some wine from our elegant and sophisticated boxes of wine and then wandered off to see pendulum – who were brilliant. Saturday saw us mainly trying to recover from the Friday night and then on Sunday (in the rain) we saw the Macabees, Blondie, an amazing DJ called Benji Boko, a standup called Kevin Bridges and The Strokes – who were all very, very good. The festival was in by far and away the most stunning location I imagine any festival could be in, surrounded by beautiful countryside, hills and of course a bloody massive loch. Add to that the fact that everyone there was incredibly friendly (apart from about 2 hours when the England match was on and everyone turned very pro-USA for a bit) and we had an excellent weekend. Rockness, recommended! The lovely English summer delivered rain by the bucket-load yesterday. I got caught in the first downpour as I cycled home from a friend’s house. Now I freely admit to liking being out in the rain, as long as it isn’t freezing cold (which it wasn’t) then it’s quite a nice, refreshing experience. However, I found cycling in the rain to be a slightly soggy experience as all of the clothes I was wearing acted like giant sponges which made cycling extremely difficult…maybe it’s time to invest in some lycra! The second deluge I found myself in was when I nipped to the shop to pick up some food. However this time I was dressed appropriately in my nice, new North Face jacket – dry as a bone. Lovely.